Dar Lighting Armada single light LED floor lamp features a dome shaped base plate with tall slender stem with flexible arm and lamp head all in satin chrome finish. 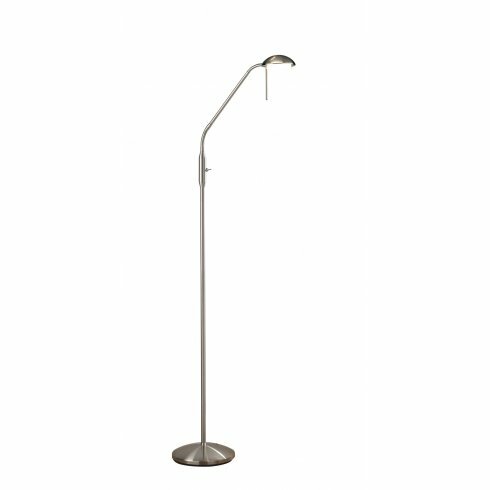 The product code for this Dar floor lamp is ARM4946. This simple yet stylish floor lamp enables you to adjust the height of the arm and direct light where required and is suited to both modern or traditional decors. Also available in antique brass finish and a matching table lamp which can be ordered from our website.